Wilmington Plastic Surgery, located in Wilmington North Carolina, Jacksonville North Carolina, and Whiteville North Carolina, is the region's only practice with the Sciton Joule, the world's most advanced laser. It's actually many lasers in one, and its unparalleled versatility allows Wilmington Plastic Surgery's experts to effectively treat a very wide range of aesthetic concerns. Wilmington Plastic Surgery’s Skin Care MedSpa is a true medical clinic, and our four board-certified surgeons, highly trained PA, laser technicians and licensed aestheticians ensure safety and quality results. Some dermatology issues are purely aesthetic and do not cause medical concern. They may, however, cause people to be self-conscious, uncomfortable or dissatisfied with their appearance. Because Wilmington Plastic Surgery has the world's most advanced laser technology, we can very precisely and effectively treat these problems. The Scition Joule gives Wilmington Plastic Surgery's experts unparalleled precision and adaptability. Through precise selection among the Joule's many settings, our staff can fine-tune every treatment for each individual's needs, with little to no discomfort. No other technology is as versatile, safe, and effective. Wilmington Plastic Surgery uses the unrivaled power and versatility of the Joule laser's many modules to customize treatment for every individual patient. The Joule is the one laser for skin resurfacing, regardless of the level needed for effective treatment. Because it features the industry's first tunable skin resurfacing laser, the Joule is very effective for superficial or deep peels—without the use of chemical agents. ProFractional is exceptional technology for superficial or deep therapy. We also offer optional coagulation for increased firming/ tightening capabilities. BroadBand Light (BBL) is unparalleled light therapy used for many aesthetic and vascular conditions, as well as permanent hair removal. Treatments include Forever Young BBL and Forever Bare BBL. Level I Laser Peel — This minimally invasive laser peel buffs the skin, leaving it refreshed; little to no social downtime. Level II Laser Peel — A deeper peel with very minimal social downtime; patients experience a little redness for two or three days. Level III Laser Peel — This level of peel goes deeper to treat fine lines and wrinkles; expect four to five days of social downtime. Stimulates new collagen growth by creating micro-ablated channels into the skin. Minimal downtime; rapid healing. The most advanced and effective full-field skin resurfacing solution available, this aggressive procedure truly erases wrinkles, pigmented lesions and other skin irregularities in the epidermis and dermis. Innovative technology that delivers precise light therapy to a specific target. Forever Young BBL effectively targets the signs of aging and sun damage. In younger patients, Forever Young BBL can maintain the skin's supple properties, protecting it from the signs of aging. Patients whose skin has already begun to show the effects of aging or sun damage can restore a refreshed, rejuvenated and youthful appearance to the skin. Patients who wish to maintain a more youthful appearance find that with regular Forever Young BBL treatments, their skin can continue to look clear, smooth, and much younger. Many patients feel the treatments not only stop the clock; they turn it back. Patients in a national study who received Forever Young BBL over a nine-year period appeared not to have aged during that time, and look ten years younger than their actual age. Unlike most hair removal devices that apply all of their energy to an area all at once, Forever Bare BBL allows for extremely even heating of hair follicles. It minimizes missed areas that occur with traditional hair removal devices, and is safe, fast, effective and more comfortable. Wilmington Plastic Surgery physicians can select the exact amount of both ablation and coagulation needed for every individual patient's medical condition or aesthetic issue, as well as the patient's desired outcome and tolerance for downtime. The technology allows our physicians to plane down mild to deep wrinkles externally, while stimulating the dermal collagen internally. The skin also becomes more resilient as a result, and continually improves over weeks and months. Because the Joule offers better ablation through more efficient water absorption, patients experience far fewer side effects. Higher water absorption also means higher efficiency and precise control. The energy is extremely targeted, and does not radiate into the surrounding tissue. While avoiding a noticeable scar is not the primary concern of any surgery, it should be an important consideration in the final treatment plan.  For practically any type of surgery, Wilmington Plastic Surgery's laser technicians have the capability to reduce post-surgical scars. For patients who have undergone uncomfortable or even traumatic injuries, illnesses and surgeries, removing unsightly scars and/or markings for radiation treatments can provide an overall sense of wellness and the ability to move beyond their illness. The blessed event of childbirth can cause some unwelcome aesthetic changes to a woman's body. With our various lasers, we can effectively treat these concerns, helping restore your pre-pregnancy complexion and figure. The excellent results gained from these non-invasive treatments can make a significant difference in your emotional recovery, as well. Click here to book a free 30-minute consultation with one of Wilmington Plastic Surgery's experts on the applications of the Joule for your personal aesthetic concerns.